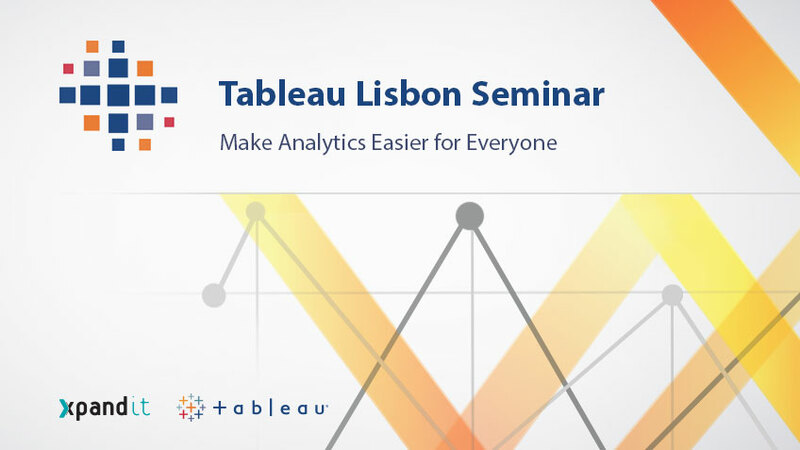 Tableau Lisbon Seminar is the first live seminar in Portugal totally focused on Tableau, a Leading Business Intelligence & Analytics Platform in the 2015 Gartner Magic Quadrant. The event is hosted by Xpand IT (Tableau Official Partner) and will be held on the 26th of May, between 09:00 and 13:00, at Altis Belém Hotel & Spa, in Lisbon. Registrations are free but limited and require confirmation by Xpand IT. Make your registration now! The free participation in this event is exclusive for end customers. The registration must be done using the form on the right side or by email: marketing@xpand-it.com. The registration is valid only after Xpand IT confirmation.